Somehow…it’s been a whole year. And yet, I can’t believe it’s only been a year. Admittedly, this began as a bit of an experiment. I wasn’t sure if I would have enough time to post regularly, nor was I sure if I’d have enough content. Ha! As it turns out, I have a lot to say. I realize that to those who have spent time here, the idea of me running out of things to say might be a little funny. Maybe even laughable. Honestly, I just wasn’t sure about the whole thing. I wasn’t sure if I’d enjoy blogging long-term. I didn’t know if anyone would want to read it, or if this site could be at all unique among the millions of other blogs out there. I perseverated over starting a blog for at least a year before finally taking the plunge. I am so grateful for the outlet this blog provides for me to process and share thoughts and ideas. Blogging brings an unexpected sense of purpose and direction. This may have started as a necessary and self-serving outlet to flush out ideas, but it has become much more than I expected or dreamed it would be. I’ve been pleasantly surprised by how much I enjoy writing. I realize now how much I missed it – and have been surprised by how much I need it. Every time I click the ‘Publish’ button, I find myself feeling refreshed and energized. I’d call it more of a ‘release’ button. The publishing of my first post left me anxious, hopeful, excited, and giddy. In the first few weeks I was a stats junky…an addict (which is funny because no one knew the site existed). I was excited when just one person found the blog per day (or initially, per week). Imagine my joy when people not only visited the site but subscribed. I love taking time to check out readers blogs – you are writing some amazing and inspiring stuff! It has been humbling and fun to see increasing traffic – growth happens sometimes quickly, sometimes slowly, but so far, the site is consistently growing. In fact, the number of visitors and page views in the first quarter of 2015 surpassed the traffic from 2014. I’m excited to see what year 2 will bring. Thank you. During the past year, many of you have blessed me with your feedback. Some of you have written or spoken encouragement and kind words that have brought me to tears. Repeatedly. Thank you to all who have cheered me on and to those who have given both invaluable advice and constructive feedback. Your insight and support have been both impactful and treasured. I’ve been both surprised and honored by each of you who visit the site, and furthermore by those who use their precious time to read, reblog, share and comment. This blog is pure joy to me, only amplified by each of you. I hope you’ll keep reading and giving feedback, because I have no intention to stop writing. 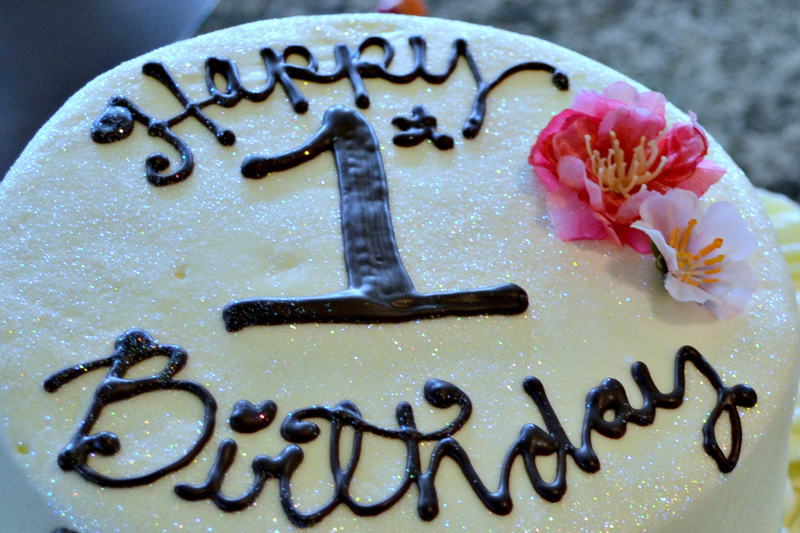 To commemorate this first birthday, I compiled a list of the top 15 posts you visited over the last 12 months, in descending order of page views. I am grateful for each of you. Thank you. Congratulations! Even though I found your blog only recently, I really enjoy your writing. Your writings about allergies are great and provide encouragement for this of us that live with children’s food allergies and all of the concerns that come with them. Keep up the good work! Previous Post You Are My Sunshine Birthday Party – Simple Food So You Can Relax!